The Director of the Wing Chun Society Canada and Wales is Master Eric Li (Li Yun Tung) Sifu Li is one of the most senior Wing Chun instructors teaching today, having studied solely under Sigung Master Ip Ching (son of Ip Man) since 1973. He is a former director of the Ving Tsun Athletic Association in Hong Kong, and has co-wrote books on the art, including an extremely detailed study on the wooden dummy (Mook Yan Jong Sum Faat) a history of Ip Man and the now hard-to-come by Ving Tsun Bible, co written with Sigung Ip Ching. Eric moved to Vancouver Canada from Hong Kong in 1997, where he teaches from his home to a small group of trusted teachers and students. Eric has a keen eye for detail and will pick up on the even the slightest of errors, he has trained the system for over 45 years and knows it well. His humble but thorough approach will ensure that the system is passed down accurately for future generations. Sifu Li visits annually for our regular 'Wing Chun Weekend' as well as spending a number of days conducting private tuition and teaching assessments. 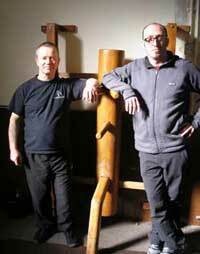 Sifu Stuart Mackinnon started Wing Chun in 1997 and opened his first school in Feb 2002. 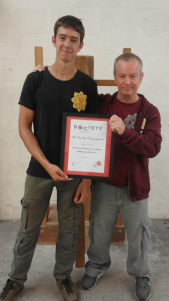 In April 2004 he chose to study under Master Li Yun Tung (Eric Li) and was lucky enough to be accepted as his student, he has covered the full system under his guidance and now represents the Wing Chun Society in the UK. 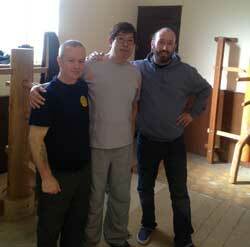 His aim is to teach Wing Chun to like-minded individuals free from the dogma of commercialism in martial arts. 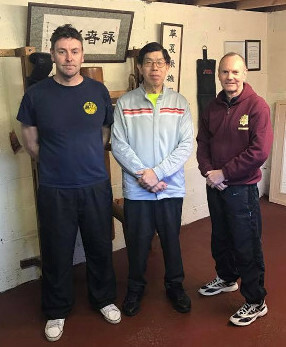 Sifu Dave Thomas runs The Wing Chun Society in his home town of Port Talbot, South Wales and is fully committed to passing on the art in its entirety. Dave received his instructor certification directly with Sifu Li and Sifu Mackinnon in 2010.
and passed his Sifu certification directly with Sifu Li and Sifu Mackinnon in October 2012. Marc has been training at PTWC since September 2012 and has proven himself over the years to be a dedicated Instructor capable of passing on the system. He has a good understanding of the Principles and Concepts of Wing Chun and how to tailor his approach to the individual when teaching it. Roy has been training at PTWC since January 2013 and has an extensive background of training and assessing young people through the Duke of Edinburgh Award Scheme. His Mountain Leader Qualification has also kept him busy over the years, but he has always found time to train and improve his Wing Chun. Jake has been training at PTWC since July 2013 and has proved himself to be a very dedicated Student and an extremely good Instructor with plenty of patience and the drive to further himself and others. Arrive punctually at class 10 mins before the official start time to pay your fees so that we can start promptly. If you arrive late please wait quietly at the back of the room until your instructor invites you to train. Wear dark tracksuit bottoms, trainers and your club shirt wherever possible. No jeans and shoes..
No bullying, bad attitude or any other unwanted behaviors. Be respectful to other schools and other martial arts. Please be aware that poor attitude, training ethic and lack of attendance has a detrimental effect on the whole of the club and will not be tolerated. Copyright © Port Talbot wing Chun. All rights reserved.